To advocate for crime victims to ensure their independent voices are heard and their legal rights are protected. The Oregon Crime Victims Law Center (OCVLC) is a non-profit, 501(c)(3) nonprofit organization which advocates for crime victims in Oregon to ensure that their constitutional and statutory rights are protected and provides leadership for education throughout Oregon. All of our services are free of charge. OCVLC is funded by government grants and contracts, as well as private and community donations. The parties to a criminal case are the government and the accused criminal defendant. The attorneys for the government must advocate for the interests of society as a whole, which are sometimes different from the interests of the victim – the person directly affected by the crime. It is precisely for this reason that victim advocates nationwide have fought long and hard for enforceable legal rights for crime victims, including the right to be represented by their own attorney as a way of ensuring them an independent voice throughout the legal process. In 2008, Oregon’s crime victims were finally given the legal standing to enforce their constitutional rights as victims through the passing of two constitutional amendments. In 2009, SB 233 (since codified as ORS 147.500 et seq.) gave some “teeth” to these constitutional amendments by providing victims with the actual legal structure necessary to implement the rights and remedies afforded to them. It is this new framework of Oregon law that created a need for attorneys and advocates to educate crime victims about their rights in criminal proceedings and to assist them in enforcing those rights. To meet this need, a group of respected veterans in the crime victims’ rights movement in Oregon, including former Oregon Attorney General Hardy Myers, founded the Portland-based Oregon Crime Victims Law Center (OCVLC) in 2009. Since then, OCVLC has provided free legal services to thousands of crime victims helping them assert and enforce their rights. OCVLC’s specialized victim-centered and trauma-informed legal services seek to give crime victims an independent voice in the legal system, mitigate the effects of crime and empower victims so that they can move toward survivorship. 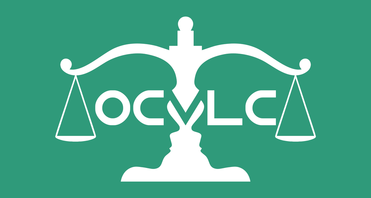 OCVLC provides free legal services to crime victims to help them assert their rights within a criminal case. We provide this service throughout Oregon. We provide services regardless of race, gender identity, sexual orientation, ability, religion, class, ethnicity, age, income, or immigration status. Civil Matters - We provide limited legal services to victims of domestic and sexual violence, elder abuse, and stalking regarding housing, employment, and education issues that arise as a result of the crime. Click the links below to see an annual overview of our work and impact of our program.